...or Corinthian columns flanking a couch. These unexpected touches add an elegant flair to these otherwise eclectic spaces. that mantle is stunning. I don't have a fireplace but who needs one with something like this! These images are just beautiful. Clean and pretty. 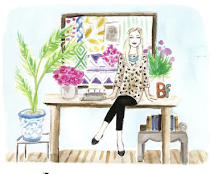 Love the juxtaposition of crystals, greenery and rugged architectural elements in the first. 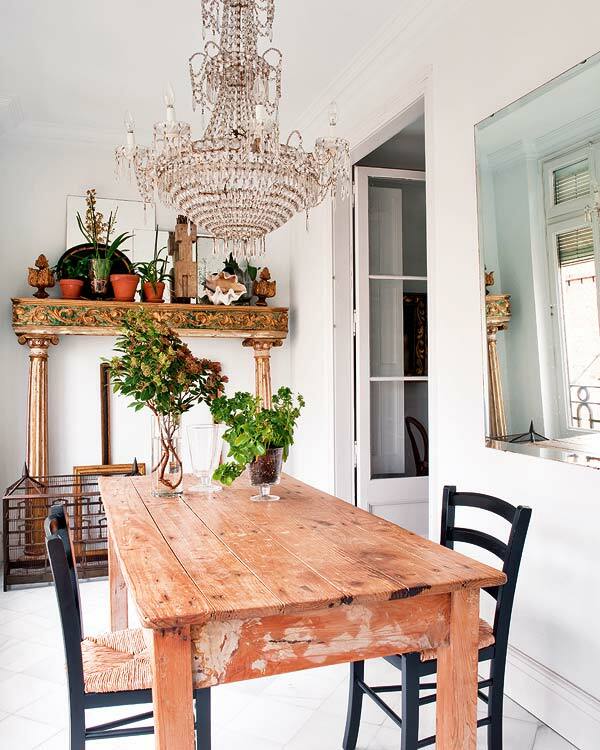 I love the top image... rugged farm table and a chandelier - Divine!! Nice :) especially the dinning table in 1. I am digging that fab dining table...i love all the white too with bursts of brown,blacks coming out atcha. Love it! What I love about both rooms is the contrast of old and new, cool and warm. Those are great design elements totally different. This is a great living room.The coffee table is so unusual. Great pictures. 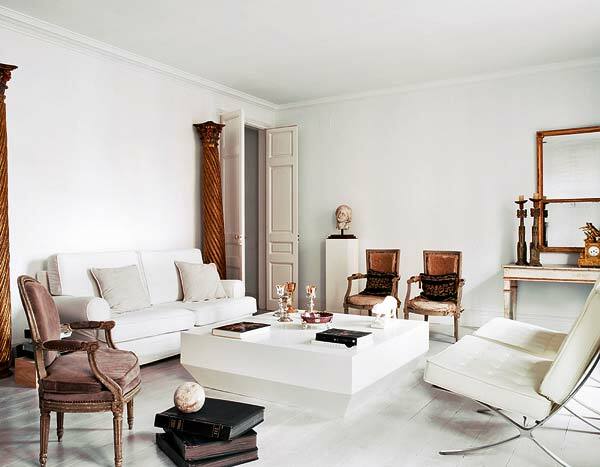 I love the elegance and dynamic that those elements add to the rooms! Absolutely love. Especially the table, chandelier and that touch of blue in the adjoining room. Great pick. Wow, love the first room, such an interesting mix of rustic, glam and eclectic! I'm of the opinion that every house should have a crystal chandelier somewhere and not necessarily the dining room, regardless of the house style. Every house can do with a litle bit of "jewelry"
Just discovered your blog and love all of the images you feature - bar none. I'll be back often I think.